Service still counts when you're the only game in town — Toister Performance Solutions, Inc. Some companies think they are the only game in town and cannot see the benefit of delivering outstanding service. They assume their customers are captives with no other options. I am on the last leg of a cross-country road trip and have seen this many times in the past few days as I've patronized small-town restaurants, gas stations, and motels. My wife & I are traveling with our dog, Melrose, so we made an advance reservation at the Holiday Inn Express in Ft. Stockton, Texas. I noticed they charged my credit card at the time I made the reservation, which is unusual, so I called to check on things a few days before our trip. To my surprise, the person who answered the phone couldn't find my reservation (even with a confirmation number) and didn't seem interested in helping me resolve the situation. She did inform me the motel was now a Quality Inn, but was insistent this change couldn't have created my problem. She finally offered to connect me with her manager who got me a new reservation, but also could not explain the credit card charge. The manager at least agreed to do some research and call me back, but I'm still waiting for that phone call ten days later and have left another voice mail in the meantime. I got tired of waiting for the manager to call me back so I called them, cancelled my reservation, and made a new reservation at the Days Inn in Van Horn, Texas. This hotel is about 120 miles away from my first choice, but I'm saving $40 and I'll be 120 miles closer to home in the morning. Does the Holiday Inn Express/Quality Inn miss my money? Maybe not, but by the looks of things here in West Texas, it couldn't have hurt. Lesson: You may be the only game in town, but there are other towns! Driving on Interstate 10 between Houston and San Antonio you'll notice billboards for a convenience stop called Buc-ee's. The billboards start about 100 miles out in either direction and are often a bit humorous and off-beat. Example: "Ice made from scratch". The best part is they truly deliver everything you'd ever want from a convenience stop in the middle of nowhere: reasonably priced gas, clean and spacious restrooms, a full-service deli, cheesy gifts, and friendly (folksy, even) employees who are happy to help. Buc-ee's is the only game in town, but they've developed a winning formula by being the best they can be. I've stopped there a few times (repeat business!) and they have always had a much larger crowd than the usual convenience stop. Finally, the lessons we can all apply. Lesson #1: There are other towns. Your customers may have many more options than you think, so it's always best to treat them as though they could bring their business to a competitor. The Fort Stockton hotel was the only dog-friendly hotel in its class for a 100 miles, but I was willing to drive 120 miles to avoid being treated so poorly. 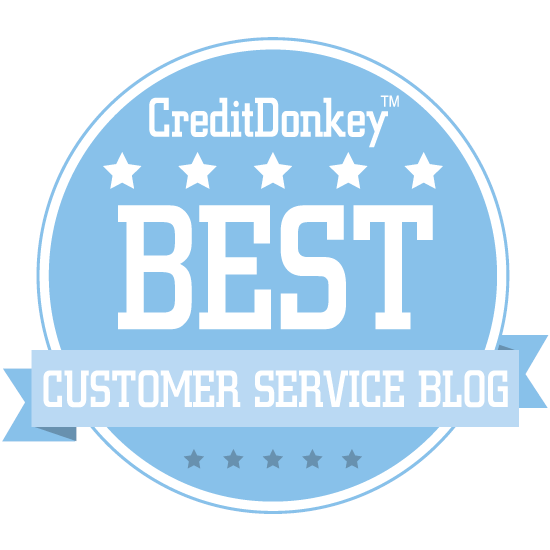 Lesson #2: Deliver the best service you can, even when there appears to be no competition. Your customers may reward you with more repeat business, a higher average ticket, and perhaps even free advertising (referrals, blog posts, etc.). I've made a point to stop at Buc-ee's several times over the years and have happily spent more there than I would at a typical convenience stop.